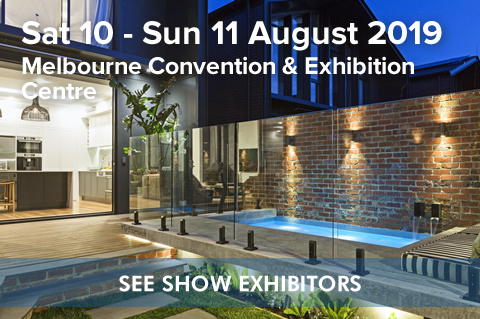 Visit the SPASA Victoria Spa & Pool Show at the Melbourne Exhibition Centre and join the backyard revolution as an increasing number of people are installing pools and spas and renovating their outdoor space for all year round entertainment. See the latest in swimming spas and find out more about the therapeutic and health benefits of modern day spas. Compare the latest range of swimming pools from concrete to fibreglass, above ground and pre engineered pools. Get expert advice and the best deals on swimming pools, spas, pool equipment, heaters, automated cleaning systems, accessories and landscaping ideas to help create your dream backyard. With an extensive range of products, services and industry experts on hand, the time spent visiting the show could be the best investment you'll make all year. 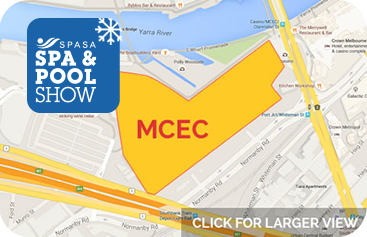 The Melbourne Exhibition and Convention Centre is located on the banks of the Yarra River, only a short walk from Melbourne’s central business district and has plenty of parking underneath. SPASA Victoria has a diverse membership – a member for all occasions. Whether you are looking for a new swimming pool or spa, to renovate or maintain your current pool, or to equip your pool with fence, cover or water tank there is a SPASA Victoria member to assist you. SPASA Victoria members are at the forefront of the industry in regards to their experience, professionalism and reputation.